Cranberry Tea Time: Welcome to Cranberry Tea Time! Welcome to Cranberry Tea Time! Welcome to http://www.cranberryteatime.com/! Thank you, Will, for giving me my very own domain name! Four years ago when I started my website, Cranberry Tea Time, the purpose was to share a little information about dysautonomia, how it affects my life, and the hope and joy that I have despite the difficulties of living with a chronic illness. Two years ago I started a blog, One Day at a Time, as a way to keep people updated and as a creative outlet. Back then blogger didn't offer the option of having pages on blogs, and freewebs didn't offer a very good blog page option for their websites. For that reason I maintained two sites. 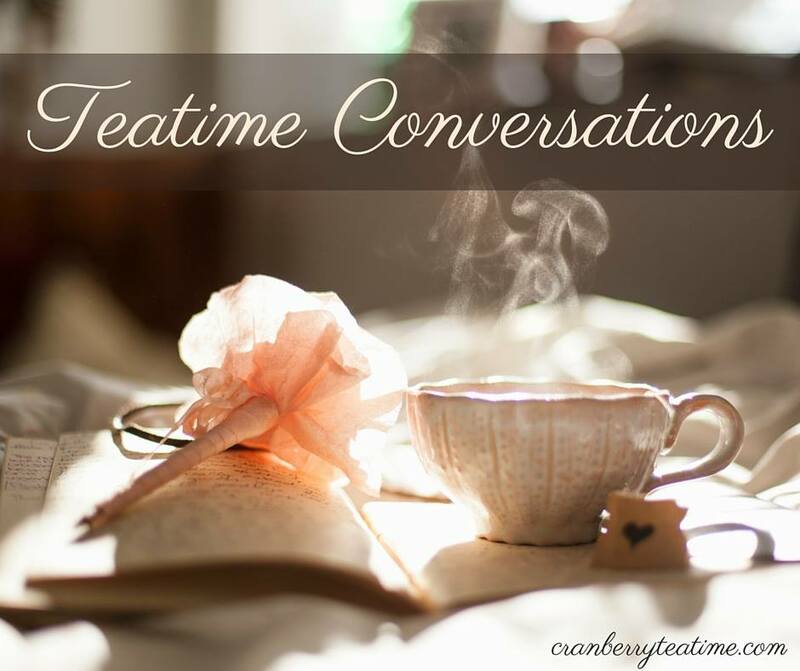 Now that Blogger offers an easy way to make pages, I have moved the popular pages from my old Cranberry Tea Time website onto my blog here. I am no longer calling my blog One Day at a Time. Instead I am going back to my original website name of Cranberry Tea Time. I named my site Cranberry Tea Time because to me it is a symbol of heart to heart talks. Back in college my closest friends and I would often share cups of hot cranberry tea until the late hours of the night (or wee hours of the morning!). While sipping cranberry tea together we would talk and talk, sharing our hearts. It was a comfortable, warm, welcoming, and enjoyable time. That is how I want you to feel when you’re reading on my blog. I want you to feel welcomed into my world, and I want to share what is going on in my life, and the joy that I have despite life's circumstances. I have added a "subscribe" page above. You can now subscribe to my blog posts through a reader or through email. Thanks for reading, and thanks for joining me on this journey!